DANA Central office located in 900 m house, which have modern equipment for sewing and cutting. This one's are help us to prepare your order in time. We are have women`s and teens clothing lines. Thanks own design studio we can offer a wide range of modern and high quality textile items. 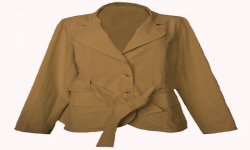 Our offer include: women`s coats, dresses, suits, corsets, jackets and sheepskin. Our production are in different size. Ella Dora is a Polish manufacturer of female clothing. We are involved in wholesale and retail sales. The assortment offered by our company is made with the utmost care from high quality materials. Our collections are characterized by elegance, lightness and an extraordinary style. Our offer includes universal models of dresses and cuts in line with the latest trends in fashion. DURSI is a clothing brand, which combines sophisticated elegance and simplicity with Whit provocation. DURSI is primarily a unique design, high quality, perfect performance and functionality. design team creates modern collections DURSI setting bold trends in fashion. Our company is engaged in the wholesale of women's clothing. The products we sell are mainly produced in European countries. Our goal is to sell the highest quality dresses and customer satisfaction. Keep up to date with the latest fashion trends and choose the most attractive and timeless products. BAST company was established in 1992. We take a leading position at the polish swimsuits market. Our products are recognized and successfully sales in all around the world.Years of experience are guarantee a high quality of products and modern design. The uniqueness of the goods guarantees not only stand out from the competition particularly in small local communities of trade but also the possibility of unfettered regulation of prices, without the compulsion to adapt their margin to the sellers in the area. Thanks to the always current offer and prompt customer service can be reached in 48 hours equip your boutique without leaving home. 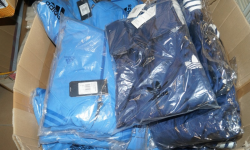 In DMS Limited warehouse you can buy ends of collections: sportswear, clothing outlet, footwear and accessories from companies such as Adidas, Nike, Puma, Reebok, Umbro, Everlast, Tapout ... We have a wide range of branded apparel for men, women, sports outlet at affordable prices. The products are constantly being updated due to the high turnover, so we can provide you with consistently fresh assortment ... We offer you new clothes coming from excess production and ends of the collection's most respected manufacturers. The leading products of our Company are various hats for children. 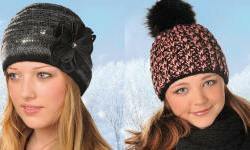 The offer includes comfortable headwear for every season. Modern designs, colors and decorations reflecting the latest trends make our products popular with Customers. Versatile machines allows us to meet different demands of our Customers. The advanced and modern technology assures a complex service from a product design through the final product. DEVU is the company that appeared on the market thanks to the passion and joy of creation. We strive to satisfy individual dreams of every woman. We design and sew gowns, dresses and outfits for every occasion. In our workshop we offer to clients a friendly and professional service. In our collections, we follow the latest trends in fashion, while we strive to ensure that our products retain the discreet charm, which enables clients to satisfy the tastes of any age. Our collections are characterized by high simplicity of form, perfect workmanship and choice of fabrics and moderate prices. According to the principle that the whole beauty lies in simplicity, can be found in the collection of a large selection of proposals elegant and humble at the same time. Company Pretty Women exists on the market since 2000. Already in October 2001, we were pleased to present our collections on the foreign market, with a very positive effect. Manufactured by us clothes is primarily high quality dresses wich suits for all kinds of events such as: proms, weddings as well as elegant parties and balls. We invite you to both business and individual types of cooperation. In our collection we have a more than 100 patterns of dresses. Specialized group of designers is working on new creations. Brand "WALDIMEX" was founded in 1991 and today has achieved a strong position on the market of clothing manufacturers. We have modern machinery, well-qualified and experienced staff. Our advantage is care for the specialization of production. We offer a wide range of women's clothing of the highest quality fabrics in a wide range of colors. We mainly focus on precision. We reached customers not only from Poland but also we became a well-known brand on the market of Central and Eastern Europe. DEWI FASHION exists on textile market and creates it since 1992. exists and creates a textile market since 1992. Our company produces stylish ladies and youth outfitters for day, evening and formal wear. 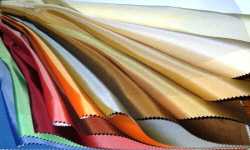 Production of the company includes wide range of clothing such as: suits, jackets, suits, dresses, skirts, pants, jackets, coats the full range of sizes. We offer a new collection every season. 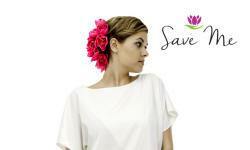 LEN We are a Polish producer of womens clothing of linen from fabrics and knitted. Our products are characterized by elegance style and modern design. Clothes of linen fabrics are made from nature ingredients. Our collection we are addressing to customers who prefer healthy lifestyle and does who value individuality, imagination and elegance of wear. Our collections are recognized in Poland and Europe by demanding clients. JASKAR has been active on wear market since 1992. We are specialize in manufacturing clothing for ladies. We use knitted, flax and other natural components. Our collections are addressed to women who value style, lightness, freedom and unconventional solutions. For every season we offer a wide range of products. We propose our products such as: tunics, skirts, pants, vests, jackets, coats, ponchos in different styles and colors. JOKE was founded in 1993. From the beginning we were a manufacturer of medical and professional uniforms. Our long-standing experience let us prepare over 90 different cuts of clothes. For that reason we are able to satisfy all your expectations. ROTEX have been present at the Polish and international markets since 1992. Our leading position in the market, mostly in the group of coats and jackets, we ensure through careful observation and quick response to the needs of modern women. SHEPA was founded in 1989 in Poland as a family business. Starting as a small sewing company, but following the strategy of modernization of production and technological processes, the company has grown rapidly into a leading manufacturer of swimsuits in Poland. LIMA We are a modern clothing company located in Poland. We specialize in sewing the woman's apparel. In our offer we have woman's suits, formal dresses and evening dresses among others. Clothes are made from the highest quality of fabrics and additions. INTER-IREX was established in 1992. Manufactures its products in domestic and foreign markets. Collection in sizes 42-56 is addressed to women who want to look fashionable and impressive. We devote much attention to the large size of the belief that in this area we have many fashion to offer. Please note that our collection has been excellent quality and fashionable. We want customers selecting our product felt it gracefully, and elegantly and fashionably so that they can get to like their larger body. AMIGO Wholesale was established on 1st July 1993 as a result of transformation of five retail points into a warehouse specializing in wholesale of hosiery and lingerie. Our offer includes products of the best Polish producers and importers. We are a constantly developing company, which dynamically operates across the whole country and abroad. We extend our assortment on a constant basis, adding new goods, and thereby including new brands. AXEL ECOLOGY COLLECTION The fabrics are of our own production which enables us to control constantly their environmentally-friendly quality, color permanency and decatizing. We constantly enlarge our clothing collection adding new trendy designs and colors, which diversifies and refreshes our offer. That means we always have something new for the next spring-summer season. KRYSTA We offer a wide range of hosiery for women and children produced with the highest quality and at affordable prices. Our offer consists of several sorts of plain tights in various colours and thicknesses, a very rich collection of luxury and original articles patterned and, what is more, diverse socks (including knee-length ones), leggings and stockings. We go on with a fully automated process of technology and modern machinery, implementing strict quality control. AINAK the firm exists 10 years. 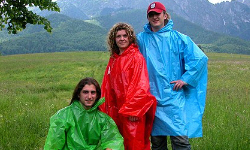 We are the leading manufacturer of raincoats and rain pelerines from film PE in territory of Poland. Other our products itp, protective aprons, veterinary, over sleeves from a foil, polyethylene caps, protection for footwear.